This is the time of year where everyone has to be on the look out for scams. Everyone that has had a bright idea on how to steal your identity is hard at work during this time of year. 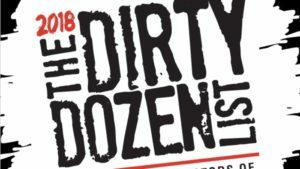 The IRS has issued the “Dirty Dozen” of scams for 2018 as Phishing, Phone Scams, Identity Theft, Return Preparer Fraud, Fake Charities, Inflated Refund Claims, Excessive Claims for Business Credits, Falsely Padding Deductions on Returns, Falsifying Income to Claim Credits, Frivolous Tax Arguments, Abusive Tax Shelters, Offshore Tax Avoidance. Please pay attention to this article.